MTU, Citing Older-Engine Demand, Boosts Parts-Sales Outlook - WG Henschen - Aerospace Parts, Ring Locked Products & Tooling Distributor. “We see, with very [low] oil prices, a lot of airline customers investing a lot of material in the engines,” says MTU Chief Program Office Michael Schreyögg. The V2500, long a staple of MTU’s new-material and MRO revenue and a workhorse of the narrowbody fleet, remains the primary driver. 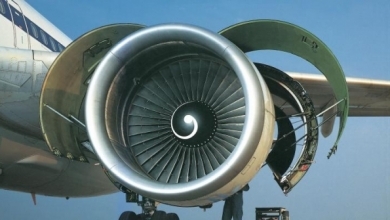 But the company reports very strong demand for some less-visible platforms that it has content on, including the GE CF6 and Pratt & Whitney PW2000. The second-quarter spares spike was attributed to a jump in shop visits for mature engines, Schreyögg says. “I expect that this will continue also for the remainder of the year and also next year,” he adds. Sustained traffic demand, bolstered by low oil prices, is pushing operators to use more older aircraft than might otherwise be parked. Global revenue passenger kilometers (RPKs) were up 7.7% for the year through September, although they rose just 5.7% year-over-year in September, International Air Transport Association (IATA) figures show. Freight-ton kilometers jumped 10.1% through the first nine months of the year. The uptick in mature shop visits isn’t all good news, however. Many of these overhauls need a high amount of material because of the advanced ages of the engines. This increases the number of parts that must be sourced from the engine OEM “at catalog list price,” explains Reiner Winkler, MTU CEO.